We have expertise in industrial machine design services for industrial equipment in industries ranging from transportation and heavy machinery to material handling and medical devices. Our company focuses on design of custom machine components or parts design to create the most useful and efficient machine possible for various mechanical engineering companies, construction equipments and medical equipment manufacturers. 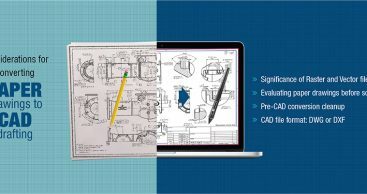 We collaborate with tools and die manufacturers and custom machine manufacturers to develop effective machine drawing and design information for your products through our expertise in CAD drafting and CAE technologies. We have expertise in converting machine part into sheet metal with Autodesk Inventor; generate SolidWorks 3D CAD Models. From concept design development, 2D drafting and 3D CAD modeling to design optimization and rapid prototyping, our CAD professionals, mechanical engineers, and domain experts leverage existing client design capabilities and help in reducing product development schedules. Our professional engineering design experts deliver mechanical product design services and new product development services for commercial and industrial products as well as the custom machine design of manufacturing tools or manufacturing automation to create those products. We are using mechanical engineering design and analysis software such as SolidWorks and ProEngineer, allowing us to understand and quantify design parameters and easily communicate options throughout the design process. We have in-house prototyping capabilities and we can produce demonstration 3D models and perform proof-of-concept testing, as well as do limited run production of finished designs. We build On-going relationships with multiple machine shops and fabricators support larger, more involved projects for designing different types of machines. With shortened development time, we help manufacturers to bring their machines and tools in the market faster at competitive costs and gain better revenues.